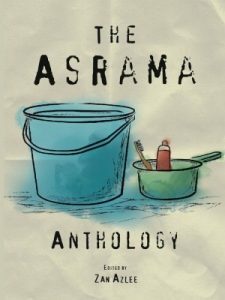 The Asrama Anthology shares 19 true stories of Malaysians who have experienced life in boarding schools, which they believe helped build them into who they are today. There are stories of friendship, heartbreak, family tragedy, conflict, race relations, and yes, there are one or two romantic ones. Chosen and edited by award-winning writer and broadcaster Zan Azlee, whose own true-life hostel accounts are too shocking for this volume. Zan Azlee made a call for open entries for anyone who wanted to share their experiences in boarding school resulting to 19 different Malaysians who wrote their true experiences in this novel. These Malaysians decipher their experiences in a way that could touch our heart in every possible way. Each chapter is short and packed with life lessons for us that are already in the working life. It makes us look back and reminisce our youths, not regretting anything but simply reminiscing the memories. All of the stories differ and I think those who were from boarding schools could relate to some of the stories. Being shy or outgoing, doing stupid things together with friends, having a crush on someone from your school, struggling with family’s conflict or body weight, all of these are the common things that most of us would have experienced when we were young and dumb. We tend to do stupid things and not having a care in the world because being young is a ticket to having a lot of experiences during school days. I recommend this book to all readers who want to read how these Malaysians pour their experiences into words that are casual, easy for readers to relate on a Sunday evening perhaps at a cafe or on vacation because between all these true stories, they are only a few pages apart but the impact will leave your heart and mind feel at peace.